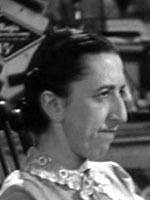 Margaret Hamilton was the Wicked Witch of the West in 1939's The Wizard of Oz. She later appeared in sitcoms and commercials and was a lifelong public education advocate. She was such a talent and so scary in this episode.